Business Economics and Managerial Decision Making is an essential introduction to business economics. A core textbook for students with a grounding in introductory microeconomics, it examines the nature and structure of the firm, and explores the economic principles underlying major business decisions. This accessible text avoids overly mathematical analysis, using diagrams, graphs and tables to explain economic theory.Trefor Jones draws upon current research and real-world examples from around the globe to illustrate the practical implications of economic theory for the business of the firm. 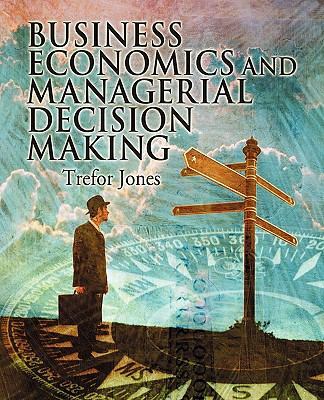 In addition, a major chapter-length case study of a single enterprise (Stagecoach plc) provides an integrative real-world analysis of the core concepts and major theories developed throughout the book.Extending the approach traditionally taken by business economics texts, Trefor Jones introduces material on the boundaries of the firm, including its growth and development, diversification and mergers.Business Economics and Managerial Decision Making: discusses managers' responsibilities to owners and/or stakeholders analyses the decision making of the firm in relation to the market examines why firms exist and how they determine their boundaries explores the economics of growth, diversification and vertical integration of the firm investigates decision making by private firms in government regulated industries addresses the reasons for the existence of public sector organisations and the differences in objectives and decision making.Supplementary resources for lecturers and students can be found at www.wileyeurope.com/go/treforjones.Jones, Trefor is the author of 'Business Economics and Managerial Decision Making', published 2004 under ISBN 9780471486749 and ISBN 0471486744. Loading marketplace prices 130 copies from $15.06 How does the rental process work?